Mei is an amazing agent! This is our first time for selling the house, she is very patient and helpful for letting us know the whole progress of selling. She took care everything for us including giving us a lot of suggestion and hosted a very successful open house for our property. Super responsive for every question we had, and even went to the city hall for helping us to handle a title issue to ensure on time closing. The whole selling progress went very smooth because of her help. I can highly recommend her to anyone who’s seeking for a professional and excellent realtors! 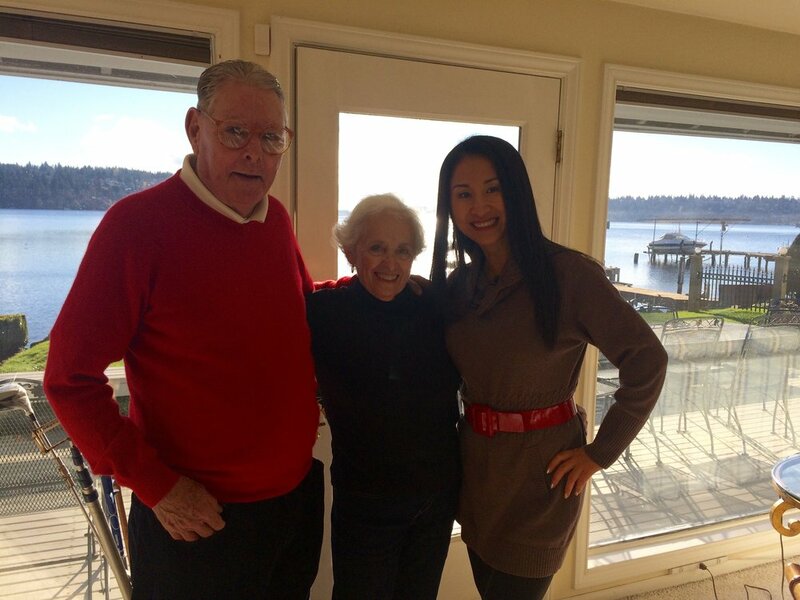 Mei demonstrated her excellent professional experience while helping us sell our home. Our home went pending in 5 days receiving multiple-offers and the winning bid had no contingencies! Mei is very knowledgeable in all aspects of selling a home, from preparing the home for the market to pricing the home, and marketing strategies. Her years of experience benefit her clients with her large network of real-estate agents. After listing our house, in addition to promoting it to the public, Mei also promoted our house among her agent networks, and thus our open house had heavy traffic not just from the public, but also from brokers and their clients. In addition, Mei has a fantastic team of contractors, stager, and cleaning service who she worked with closely to give our house a complete makeover to present to the market. We totally rely on her to help communicating and make sure things stay on track. The staging team worked with Mei closely and did an awesome job to decorate our house to be a beautiful home that attract buyers. We are so glad to have Mei guide us and finish this house selling journey in a quick and smooth way! Mei helped me tremendously during the entire process of selling my house in Redmomd: coordinating with contractors, designing the remodel items, finding the right appliances, monitoring the timeline. Her team of contractors, stager, photographers are very professional and did a beautiful job in transforming my house into a beautiful welcoming home! Mei’s marketing plan was so effective that within 2 days we received an above listing price offer with no contingencies! I am so glad that I chose Mei to be my broker! Mei is a professional and supportive realtor. She has rich experience in real estate market about Seattle/Bellevue metropolis. She always give me her wisely and properly advises on what criteria about purchasing a house I should focus on first. And guild me step by step during the complicated transaction process patiently. I strongly recommend her to my friends ‘cause she always consider her clients needs priority. In a dynamic housing market, such as Kirkland, Mei's skills, experience and hard-work hard-work shine through. We are very happy with our recent purchase with her help. We worked closely with her for half a year. Houses in Kirkland are very diversified: different locations, slopped verse flat, view/traffic verse quiet, old verse new, small verse large lot ... Our large family's need is also very complex. Mei asked tough questions early to help us prioritize and focus. Based on different listings that are available on the market, Mei gave spot-on insights and suggestions. Which can be negotiated, which should use escalation, which may accept conditions (inspection, financing ...), which should dive in without, etc. CMA was also a big challenge to us given diverse range of houses in the proximate location. Mei helped us narrow down the right set of comparable. Those turned out to be solid and fair negotiation references. The escrow also took longer time than usual given special factors from seller's side. Mei navigated the open water with confidence and tied every process together despite of surprises along the 6 week's journey. Besides offering real estate resources, Mei also connected us with great contractors to fresh up the house after purchase. Mei's a complete package! I can't recommend her highly enough! Mei Yang was the listing broker for a luxury home I built in downtown Bellevue. She is a very creative marketer and brought a lot of traffic to the house. She is hard working and knowledgeable about the market. She hosted special events at the house and brought more than 50 brokers and potential buyers and international buyers from China to visit house. Whenever I have questions, she is available to answer them right away. When we were in negotiation with buyers, Mei was tactful and smart and got the best terms for me. I am very happy that I hired her to be my broker. I am going to continue to work with her for my other projects. I highly recommend Mei as the best real estate broker. We chose Mei over several other agents in the Somerset area because of her professionalism, knowledge and tenacity. She guided us in the selling process, helped set pricing expectations and negotiated with buyers to get the best price possible. In less than a week we received multiple offers andclosed well above asking. Mei worked tirelessly, patiently, across different cultures and countries to get the deal closed. We highly recommend Mei Yang as your real estate broker. Mei Yang "won" a very stiff competition between several highly regarded brokers that we interviewed to market our beautiful home in Kirkland. Mei was extremely proactive and gathered a good team that made possible to have open house only a short week after signing contract with us. Her market analysis and selling strategy resulted in a win-win situation and our house was sold in only few days since being listed. After such an excellent experience, we will continue seeking her advice in the future. We highly recommend Mei Yang as a knowledgeable broker and a very pleasant person to work with. Dear Mei, I am writing to express my gratitude to your excellent work on selling my waterfront home in Lake Forest Park. Your creative marketing and advertising brought a lot of attention to the house and a great number of showings. Your hands-on approach to attract potential buyers to view the property was so effective. I appreciate that you always kept me informed on buyers’ feedback and you were always so prompt in answering my questions. I am especially impressed by your exceptional negotiation skills to help me achieve the best deal possible. A job well done! Thank you!!!!!! Listing my condo with Mei was a great experience. Before hiring Mei, I interviewed several different brokers. After reviewing my goals with each of the agents I settled on Mei due to her energy, flexibility to work with some unusual requests of mine, and apparent broad marketing channels. Well, I was definitely happy with the choice. Throughout the process she handled everything that I just did not want to deal with, from finding contractors to setting schedules. At the same time, she was open to the things that I did want to have input on, such as some of the choices for staging and advertising. Paperwork was made easy through electronic signing over email and communication was nearly immediate through my preferred channel (which was texting). If you're looking for a listing agent in Seattle, I can absolutely recommend Mei for superior service and the ability to find buyers in our increasingly globalized market. We're glad to have Mei on our side during the whole process of looking for a house and when we finally found one, helping us with negotiations and guiding through that lengthy and sometimes frustrating ordeal. She is extremely professional, very responsive and definitely possesses the skills to help anyone who's looking for a place, especially in this current PNW market. Mei Yang, was our listing broker for our waterfront home in Lake Forest Park. She did a remarkable job! She listed our home on January 10th, 2017 and had it closed all cash in 20 days! She has the buyers, WHICH IS THE KEY! Another broker listed our home before she did, but could not get the ball across the goal line. But Mei did it in 20 days! ALL CASH! We first met with Mei Yang regarding the sale of our home several months before our decision to move forward. It became very clear that we made the right choice. She guided us through the process and it quickly became obvious that she knew (and knows) the real estate market thoroughly. She developed a superior marketing plan that was far reaching and successful. Mei stayed in constant contact with us and was always available to answer questions and calm any of our concerns. Our home was sold in a timely manner and we believe it was due to her professionalism and dependability. She is our "realtor for life." "Mei is the best. I've worked with several real estate agents in the past and none can compare to Mei. Working with her has been a true pleasure. Mei is very sharp, decisive, hard-working, and she will make sure everything runs as smoothly as possible. Over the last several years I have bought a townhouse, rented a house, and sold a house, all with Mei's help. When I was looking to buy a townhouse Mei listened closely to what I wanted and alerted me to a townhouse that was coming on the market after a previous offer fell through. I bought it at a good price. Then, while I was out-of-state for a good bit of the time, I rented out a home I owned and Mei took care of everything of my rental. Recently I sold a house and Mei provided invaluable guidance during the process. The house needed updates and Mei had firm opinions as to what was needed. I took her advice, and I'm glad I did. Importantly, Mei has a cadre of people she can call on to quickly do the work needed to update a house and without fail these workers were prompt, thorough, and easy to work with. Everything went smoothly and was done within a month. The house was listed on a Friday, Mei had open houses on Saturday and Sunday, and by Monday we had multiple offers. With Mei's guidance in evaluating the offers and negotiating with the buyers, I quickly reached an agreement to sell the house for $25,000 above the listing price! The deal has closed and there were no glitches during the process. I unequivocally recommend Mei. She will be the one I turn to in the future." "I’d like to take this opportunity to express my heart-felt appreciation for your excellent work in helping us acquire the property in Bellevue. Your knowledge in real estate, dedication to your clients, negotiation skills and attention to details are truly exceptional! Also, your willingness to go an extra mile to get the job done is really admirable. Without you, we would not have been able to get this transaction done. THANK YOU!!! Wish you and your family a great holiday season! I look forward to more opportunities to work with you in the years to come!" "We enjoyed working with you to sell our home and want to express our sincere appreciation for a job well done. Your expertise in the residential sales market as a real estate broker is outstanding. We were especially pleased with the professional and business-like manner you conducted the entire sales process from beginning through to the end. The interior design suggestions you provided, and that we carried out, were a big factor that resulted in an appeal to a larger buying market. We were most impressed with your negotiation acumen when we had multiple offers to consider, and with your liason skills in keeping both seller and buyer well informed during the entire process – from signing of the contract through to the recording of the deed. Again, it was an enjoyable experience working with you and we recommend you highly." "Mei Yang helped me find a fantastic house in Issaquah. She quickly helped me understand exactly what I was looking for and was always available and willing to show me properties throughout the eastside. I found Mei to be a great resource as I was house hunting. In addition to being extremely professional and hard working, Mei knows the market and the neighborhoods extremely well. When I finally found the right home, she did a tremendous job negotiating and finalizing the sale....which can be difficult and stressful in this current market where sellers are receiving multiple offers. Mei was able to help me through every step of the process...even using her connections to help me with contractors and furniture for the new home. I will definitely use Mei again and would recommend her to anyone looking for a hard-working, well-connected and enthusiastic professional." I am writing to express my heart-felt appreciation for your exceptional expertise and service in selling my house in Bothell and helping me buy a new house in Normandy Park simultaneously, with me having to move only ONCE! Everything worked out so beautifully and I can’t be happier. I was really struggling with selling and buying all at once, because I just couldn’t imagine myself surviving the stress of dealing with two properties and the strong possibility of having to move twice. You convinced me that things would work out fine and you would do everything you could to avoid me having to move twice. You delivered your promise! You were so good with contract negotiation and were able to convince the buyer of my Bothell house to let me rent back for more than a month, which allowed me enough time to close on my new house in Normandy Park. Throughout the entire 3 months of working on the two transactions, you handled each and every little detail so well that I always felt rest-assured. You were also exceptional in getting top dollars for my old house and a great price on my new house! “Mei Yang is an exceptional agent. It took her only a week to get a nice offer on our house. She is the best marketer and negotiator we’ve known. She always has her client’s best interest in her heart. From now on, we will hire Mei for all of our real estate needs”.